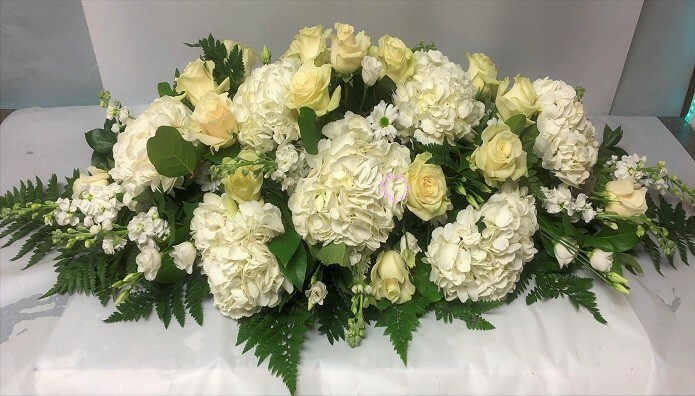 These types of arrangements can be made as a smaller simple tribute or as a large casket spray to display on top of the lid of the casket. 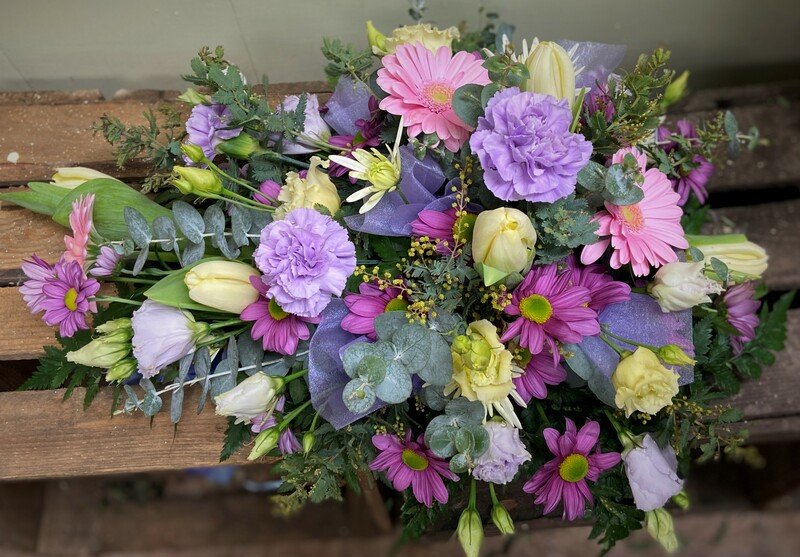 If you're not sure what flowers to choose just tell us your prefered colours and leave the rest to us. 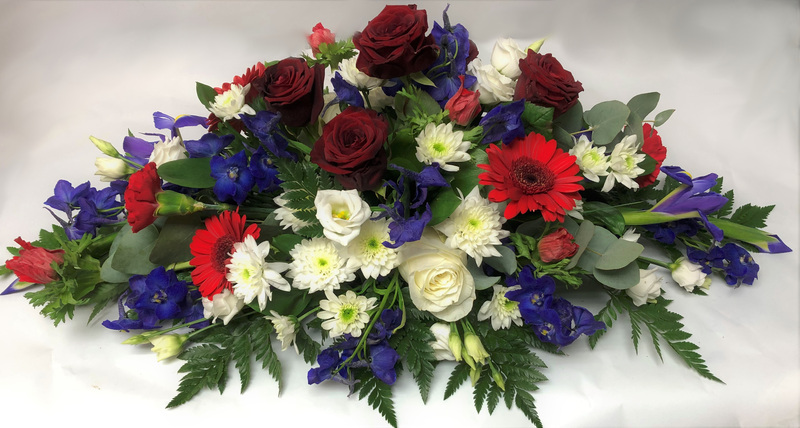 A seasonal selection of red and white flowers make up this single ended spray. A seasonal mix of mixed pinks with a touch of purple to complement. 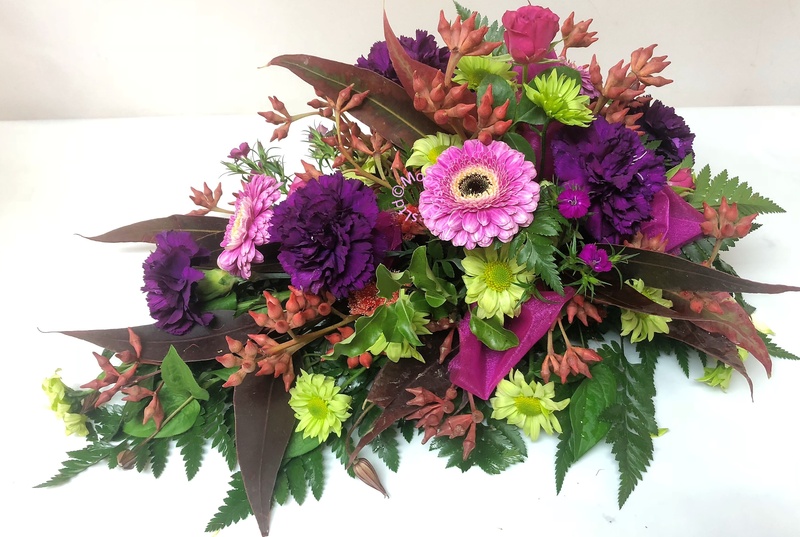 An autumnal shade double ended spray comprising mixed seasonal flowers. 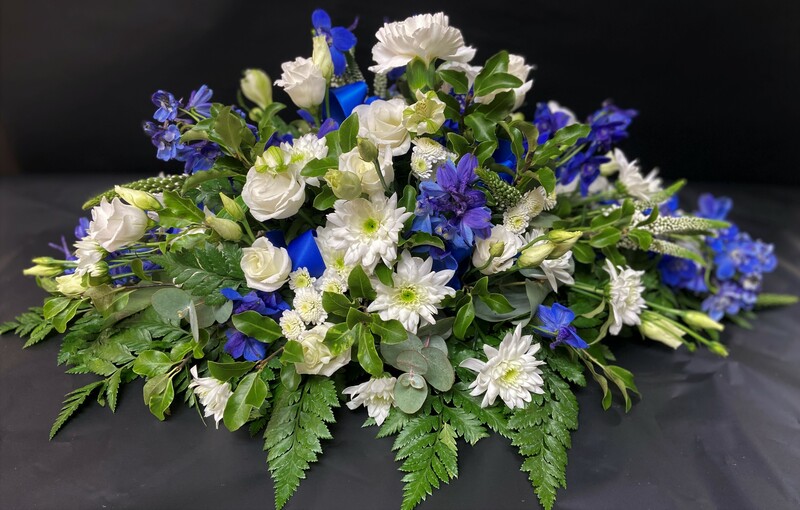 A mixed seasonal double ended spray in varying shades of blue with white. A double ended spray in mixed seasonal white flowers. 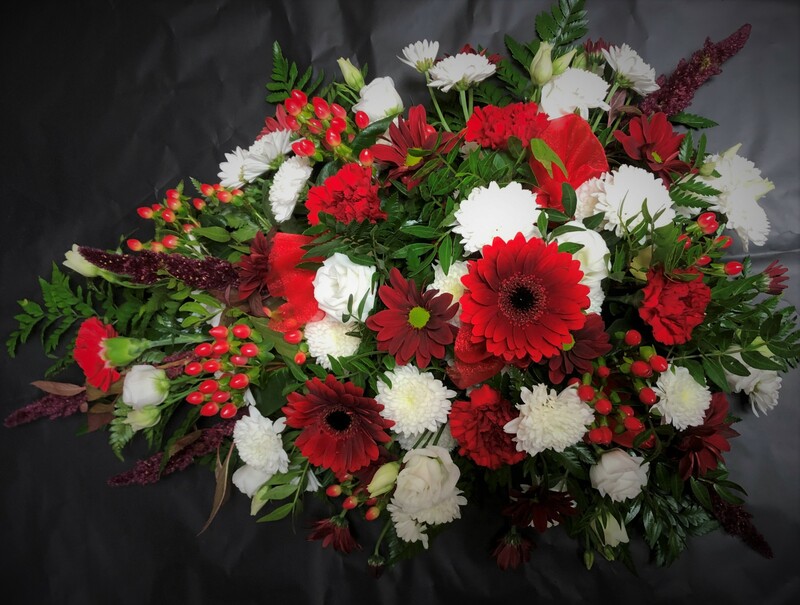 A full casket spray of seasonal mixed white flowers. 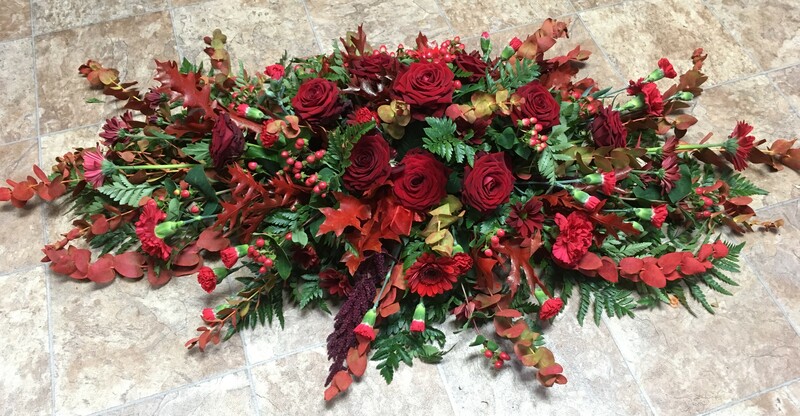 A full casket spray of seasonal red shaded flowers. 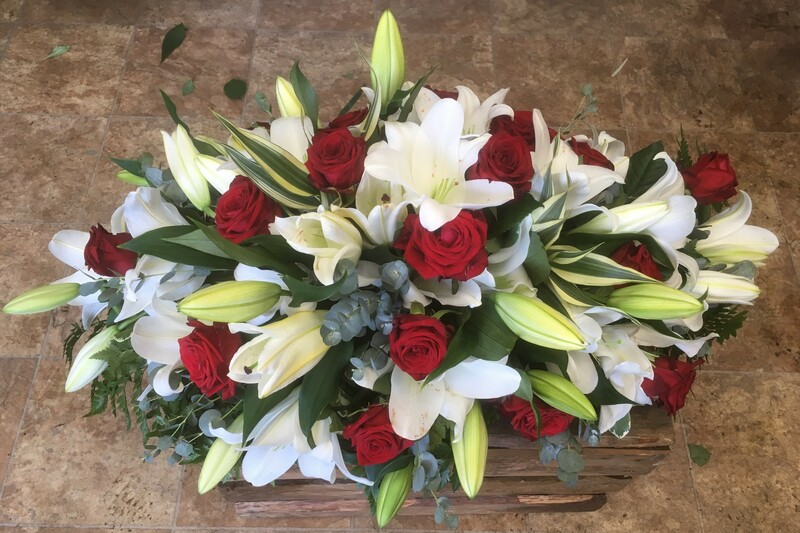 A double ended spray of red roses and lilies - can be made in any colour of your choosing. 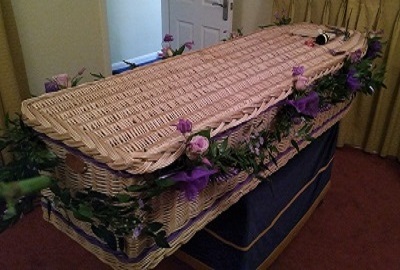 A full casket spray in varying shades of lilac and purple, with a touch of cream to complement. A double ended of mixed seasonal pinks and whites. 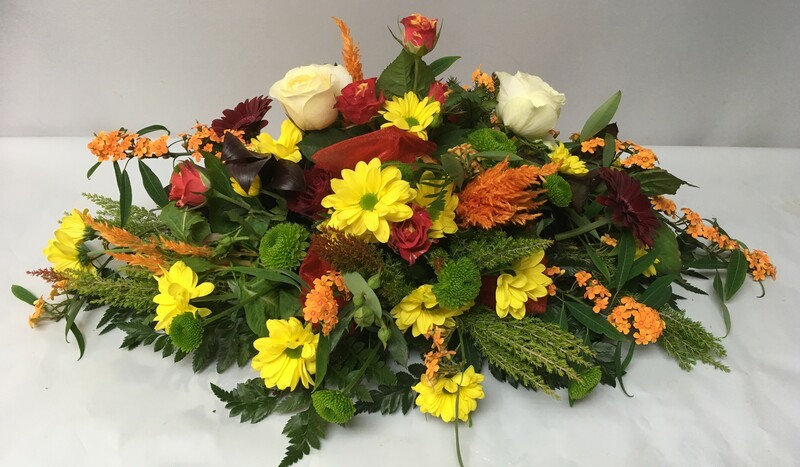 A mixed flowered casket spray in shades of orange and golds. 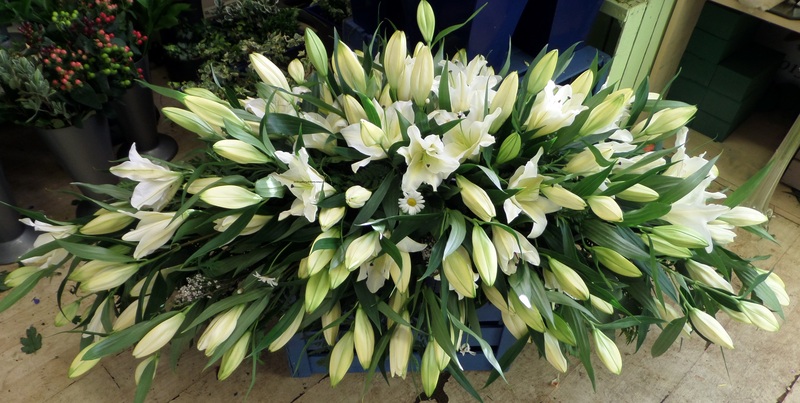 A full casket spray of white lilies with foliage to complement. 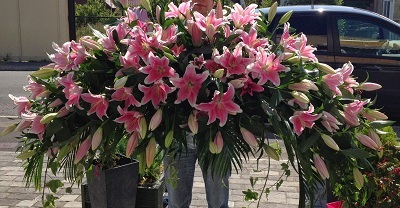 A full spray of pink lilies with foliages to tone. 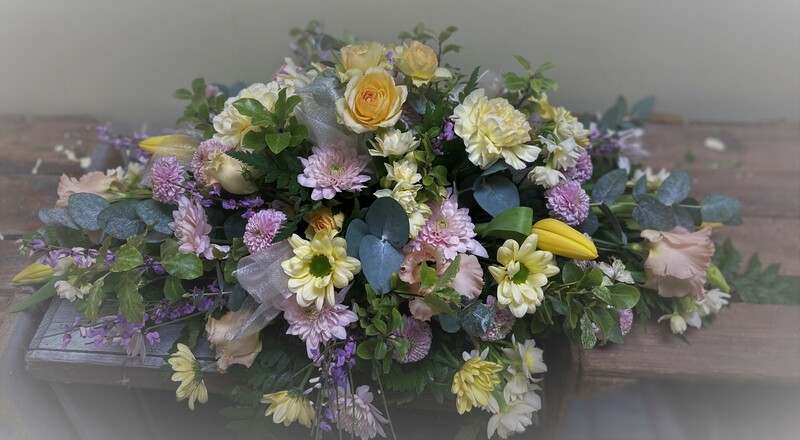 A full casket spray comprising roses with complementing flowers and foliage in creams yellow and ivory. 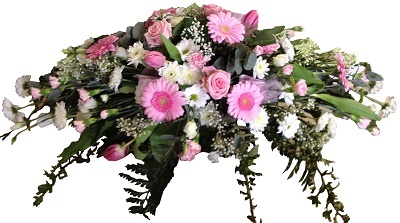 A casket spray of roses, gerbera and carnations in shades of pale pink. A double ended tribute of roses and foliages. Please state your preferred colour. A foliage garland with 8 flower sprays and organza bows (3 each side, 1 on each end) in your choice of colours. A double ended spray of seasonal delicate pastel shades with complementing foliage.